This isn’t an event taking place in January but we are so transfixed by the project we wanted to tell you about it now. Illuminated River is a long term art commission on an unprecedented scale - a scheme to light central London’s bridges along the River Thames. DREAMY. Incorporating up to 15 bridges, from Albert Bridge to Tower Bridge, once complete, Illuminated River will be the longest public art commission in the world at 2.5 miles in length, along 4.5 nautical miles of the River Thames. Following an international competition launched in June 2016, the winning scheme, led by American light artist Leo Villareal, will use the latest LED technology to ‘paint with light’, taking influence from the natural and social activity of the river and produce sequenced patterns that play across the bridge structures. His lighting design will engage specifically with the site of each bridge, respecting and revealing their distinctive histories and architectural features, while the integrated motion across fifteen bridges will create a unified artwork that references the river as a continuous living system. So keep an eye on the progress as the artery of our city is decorated with splendour. We cannot wait to see all the finished results. The Lido is the debut novel from swimming fanatic and Londoner, Libby Page. This heartfelt book tells the story of Kate, a twenty-six-year-old riddled with anxiety and panic attacks who works for a local paper in Brixton. She is assigned to write about the closing of the local lido where she meets Rosemary, an eighty-six-year-old widow who has swum at the lido daily since it opened its doors when she was a child. It was here Rosemary fell in love with her husband, George and here that she’s found communion during her marriage and since George’s death. When a local developer attempts to buy the lido for a posh new apartment complex, Rosemary’s fond memories and sense of community are under threat. As Kate dives deeper into the lido’s history—with the help of a charming photographer—she pieces together a portrait of the pool, and a portrait of a singular woman, Rosemary. What begins as a simple local interest story for Kate soon blossoms into a beautiful friendship that provides sustenance to both women as they galvanize the community to fight the lido’s closure. Meanwhile, Rosemary slowly, finally, begins to open up to Kate, transforming them both in ways they never knew possible. It truly is a beautiful story and you can buy the hardback book now with the paperback set for release in April. From the end of the month until late March, The Royal Academy of Arts is ‘bringing together two artists – born centuries apart – who explore the same universal themes with works of transcendent beauty and raw emotional power.’ Life Death Rebirth sees works from Bill Viola and Michelangelo side by side with the same ideas and meaning but very different mediums. Michelangelo’s drawings are detailed and exquisite, created as gifts and expressions of love and Viola’s work comes in the form of projections and video’s far from the style of Michelangelo. Both however grapple with life’s fundamental questions, asking us to consider the thresholds between birth, life and death, harnessing the symbolic power of sacred art with both showing the viewer physical extremes and moments of transcendence. The RAA is an art institution in the capital and this is set to be another smash hit exhibition. Tickets are priced at £20 and come with a printed gallery guide. 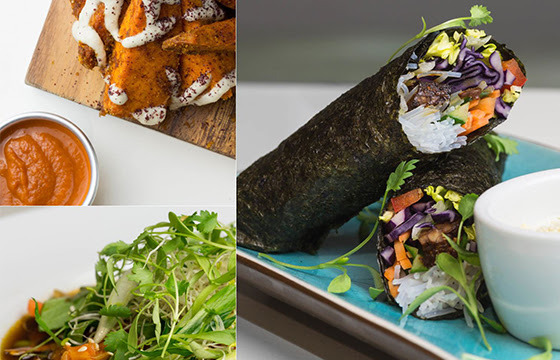 Monday 14th January sees the opening of new Vegan hotspot, Stem + Glory at 60 Batholomew Close in the Barbican. Stem + Glory is part of a burgeoning plant based movement, and a pioneer in the new world of Crowd supported business with this new site being their latest opening, another site already up and running with fans flocking, in Cambridge. They serve breakfast, brunch, lunch, evening dining and special tasting menu for events, with everything prepared and cooked fresh on site by their talented team of chefs. The colourful and healthy menu includes rainbow and paleo bowls, burger, curries, lasagne, pancakes, ceviche and so much to make your taste buds tingle. They also have a fine vegan bar serving cocktails, mocktails, craft beer + vegan wine to quench your thirst. Instagram at the ready, this will be adding some jealousy inducing colour to your feed and some all round goodness to your tummy. On January 20th, for a one night only, the Poetry Gala will showcase stars of the stage and screen reading the world’s favourite poems, produced by Platform Presents to raise funds for a new Playwright’s Prize. A collection of classic and contemporary poems will be read on the evening and readers include huge names such as Juliet Stevenson, Rhys Ifans, Denise Gough, Romola Garai, Phoebe Fox, Adrianna Bertola, Dougray Scott, John Standing, Jaime Winstone, Nicholas Pinnock, Gala Gordon, Sebastian de Souza and many many more. For more information on the Playwright’s Prize visit the website here. The running time for the poetry gala is approximately 90 minutes and tickets have gone on sale here. The event will take place at the Playhouse Theatre just a short stone’s throw from Embankment Station.